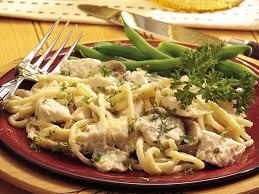 A good way to use left-over turkey is to throw it in with some angel hair pasta or linguini. Bring a large pot of lightly salted water to a boil. Add the pasta and cook until tender. Drain and set aside. In a large skillet melt the butter over medium heat. Add the onion. Cook and stir until tender. Stir in the flour until blended, then gradually stir in the milk so that no lumps form. Season with salt, pepper, and poultry seasoning. Add the mushrooms and turkey to the skillet. Cook over medium heat, stirring constantly until the mixture thickens. Add the cheese and pasta. When the cheese melts, dish on to plates.